Unsanitized thoughts on politics, religion, & government. He has garnered both the highest and lowest approval ratings in the history of the Presidency. He has been praised by an entire nation as a great leader for freedom, and later derided as a dictatorial warmonger by the same. Finally, he has been accused of being the most inept man alive and of being an evil mastermind all at once. Yet, for all the rhetoric, it is an undeniable fact that our 43rd President has dealt with more in his eight years than any president on this side of Abraham Lincoln. An entire nation — not divided by political affiliation, race or ideology — rallied behind the man who had been thrust into the position of a wartime leader. Over the next few years, America took its war against Islamic-extremists to Afghanistan and Iraq, initially with the support of most of the American people. 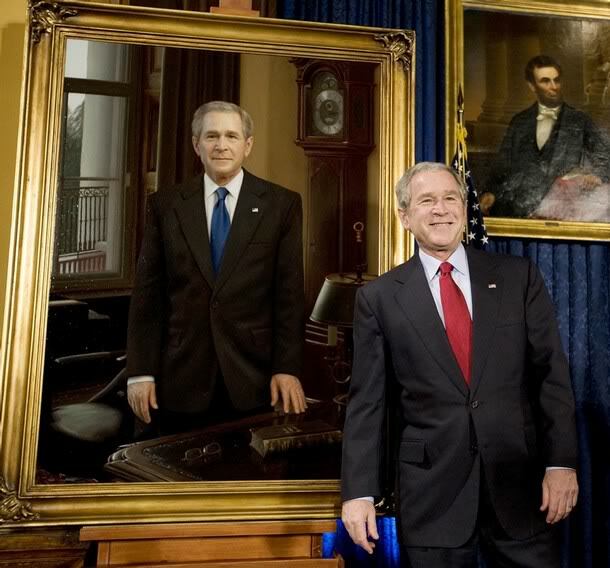 However, as the intense patriotism that had swept America after the September 11 waned, partisanship and ideology began to creep back in, and with the aid of the news media and entertainment industry, opponents of Bush spent the remaining years of his tenure dismantling his legacy and smearing his reputation. By the end of the 2004 election cycle, Bush had become the scapegoat for all of mankind’s troubles. Among these attributed to him were issues such as the lack of world peace, anti-American sentiment, and global warming. By the end of the Presidency, he was also forced to bear the guilt for the slow response to Hurricane Katrina and a severe economic downturn in his final months, both of which were government wide failures. Yet for all the negativity surrounding him, I do not believe that history will view Bush as a failure. Many past Presidents, such as Harry S. Truman and Dwight D. Eisenhower, were absolutely despised during their time in office, and yet when judged by history, are now seen as some of the greatest leaders we have had. The same will likely be true of Bush. Under his command, we removed the Taliban from power in Afghanistan, deposed a brutal dictator who killed hundreds of thousands of his own people in Iraq, promoted democracy around the world, lowered taxes, unswervingly supported Israel, offered aid that saved approximately 10 million lives in Africa, and stopped numerous terrorist attacks. Has he been the perfect president? By no means; there exists no such leader on this side of heaven. Yet, when history looks back on his presidency from a perspective untainted by current partisan bias, weighing out his achievements alongside his failures, his character and his performance, I believe it will unveil the portrait of a man who made mistakes, but overcame opposition through humility, showed moral courage and steadfastness in the face of adversity, was quick to show compassion to the hurting, and kept a nation sakes for eight long years that would have tested anyone’s endurance. While Bush’s time as our leader may be over, the struggles her presided over are not. Our nation must offer its prayers to Barack Obama as he takes the reigns of a nation that is still in a war for freedom.